Every month Apple features the finest new iPhone and iPad apps that released in the last month. 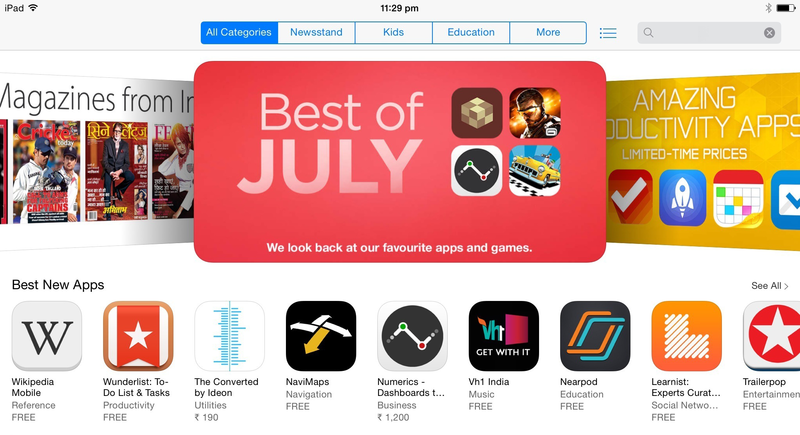 We are proud to see the App Store featuring Numerics in the Best of July list along with the month’s most memorable apps and games. Numerics currently integrates with over 20 prominent cloud services and we aim to scale to a 100 by this year end. If you use a particular service that is not already available in Numerics, send us an email, we are welcoming requests to service integrations from diverse fields, from our early adopters. We are also calling out to cloud based apps and services to get in touch with us if they would like to see their services integrated with Numerics. If you haven’t tried out Numerics yet, get it before the special launch offer ends! Numerics for the iPhone and iPad along with its hundreds of custom widgets is available just at $19.99 (or equivalent in other countries). Users of Numerics v1.0 will be treated to all future paid widget packs for free. No additional costs and no subscription fees ever!